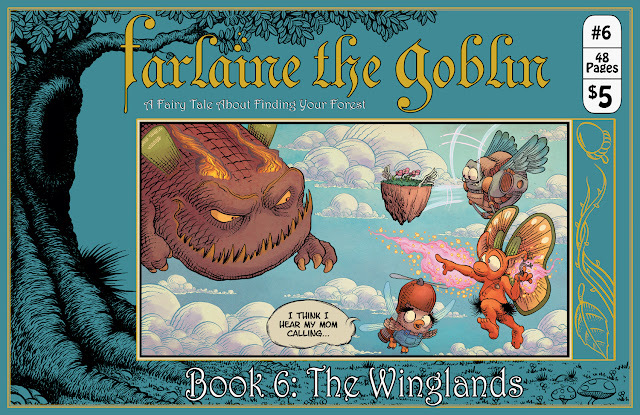 Farlaine the Goblin ~ A Fairy Tale About Finding Your Forest: Book 6:The Winglands solicited! Book 7 written! Drawing has begun!! Book 6:The Winglands solicited! Book 7 written! Drawing has begun!! Been a few months of focusing on work and things are chugging along! Book 6: The Winglands is done and has been submitted to Diamond! 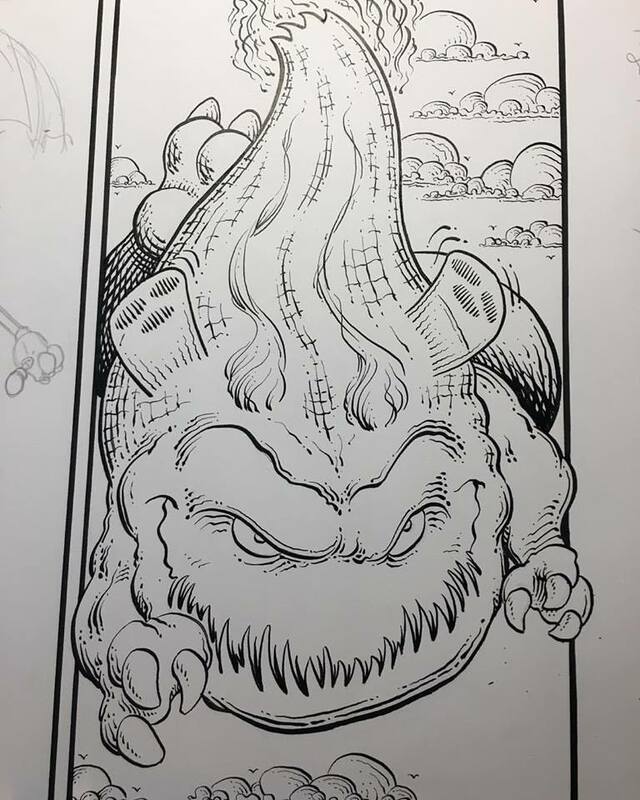 It'll appear in the January issue of Previews(which is when you can order it from your local comic shop) and then it'll hit store shelves in March 2018! There will be a 1:3 alternate cover on this book by the great painter Larry Macdougall, who I think hit this out of the park!! So that's coming in early 2018, cruising in at 41 pages plus all the trimmings and fluff. I'm also hard at work on Book 7, the final book of the series! The script is done and I've finished the first 5 pages of drawing as I head off to a Thanksgiving visit with the family. I'll be doing some script polishing and layouts while I'm gone, with the plan to dive back into the drawing upon my return! For 2018 my plan is to finish the series and then dive into the convention circuit with the completed series! As usual a lot of where I pop up with depend on who actually accepts me. Sadly, the bigger cons like NYCC, C2E2, and ECCC are all run by the same company that never lets me in, so I'll probably end up at a lot of the more comic-friendly shows like Boston, Baltimore, KidsCon, MeCAF, MICE, SPX, and Heroes. But again, it'll all come down to who accepts me, whose lottery I win, etc. It will also hinge a little on when Book 7 hits, since I'm not sure I want to fly anywhere without the finished series in hand. So that's the plan! 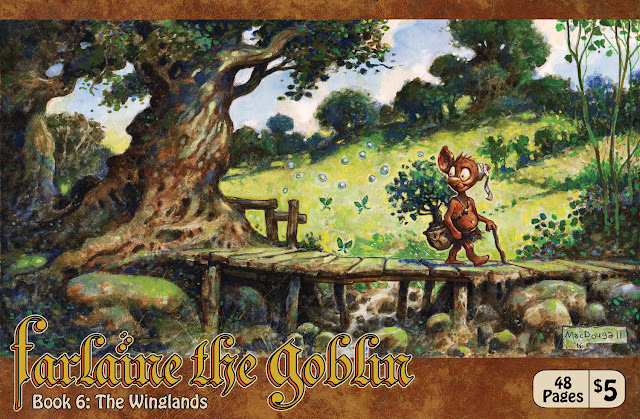 Feel free to follow me on Facebook(Farlaine the Goblin), Twitter(@TreeGoblin), or Instagram(StudioFarlaine) for more updates and behind the scenes images!